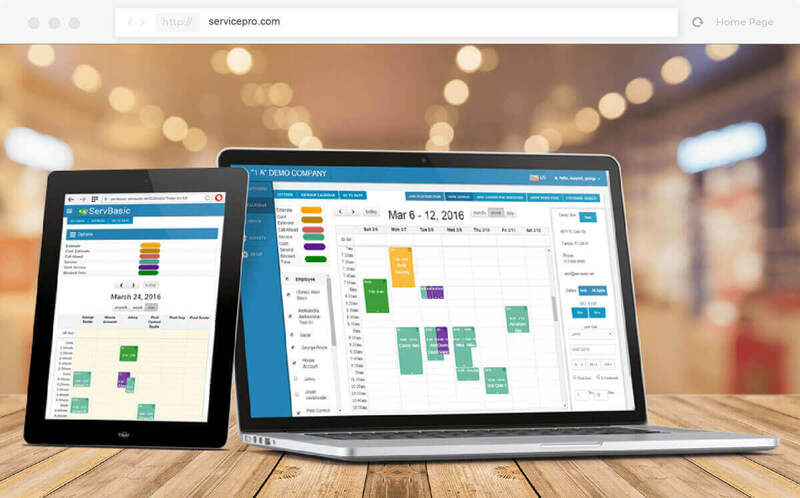 ServSuite™ has management, scheduling, routing, invoicing, billing, reporting, marketing, mobile apps and supported software features. 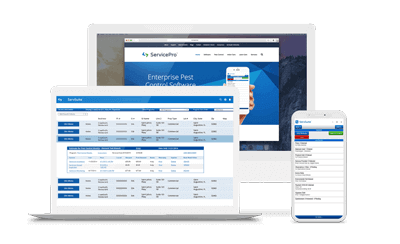 The main purpose of ServSuite™ pest control software by ServicePro™ is to help you grow your business by automating everyday tasks. We are the world leader in specialist pest control software and it was designed to specifically serve this industry - ranging from local small scale businesses to the largest multinationals in the industry. 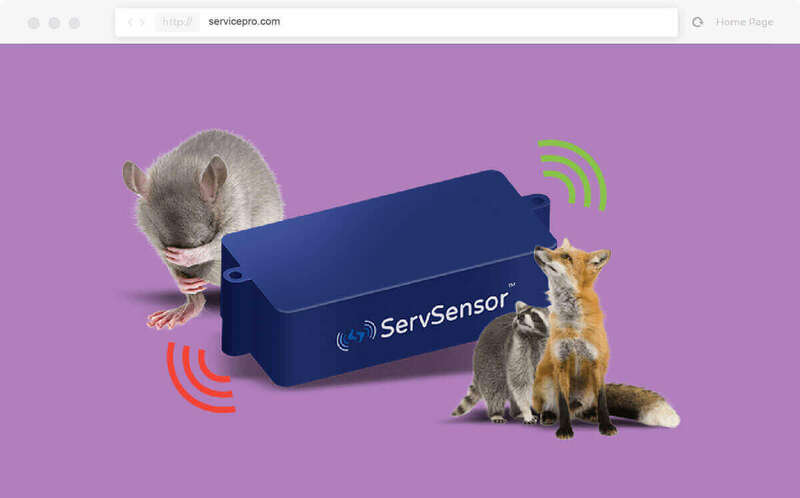 With more than 20 years of experience in the pest control industry, ServSuite™ software was created for pest control professionals, by pest control professionals. Before developing the software about 15 years ago, ServicePro™ was a successful pest control and lawn care company. ServicePro™ has around 200 staff members, an excellent team of programmers, trainers, technicians and developers. Our focus is on customer service: to us, all of our clients are our business partners. We offer you unlimited technical support at no extra cost, 24 hours a day, 6 days a week. 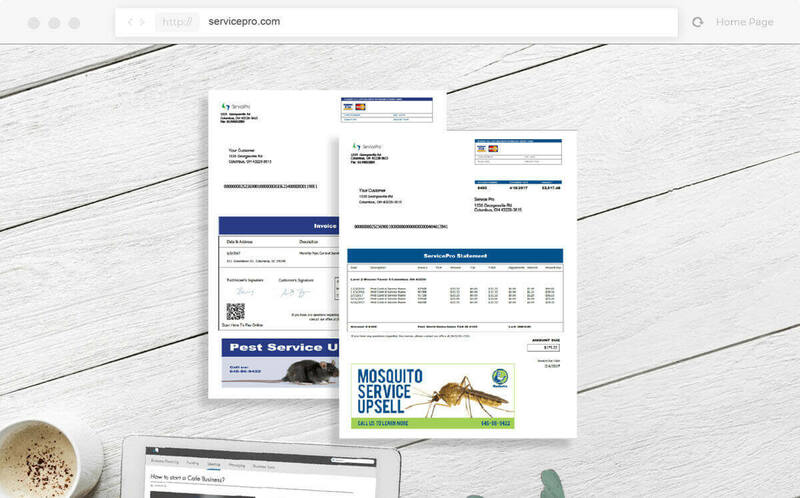 You can make your own custom completed service forms with ServSuite™ pest service software, view them on our ServSuite™ Mobile App, Client Web Portal and in the Office! 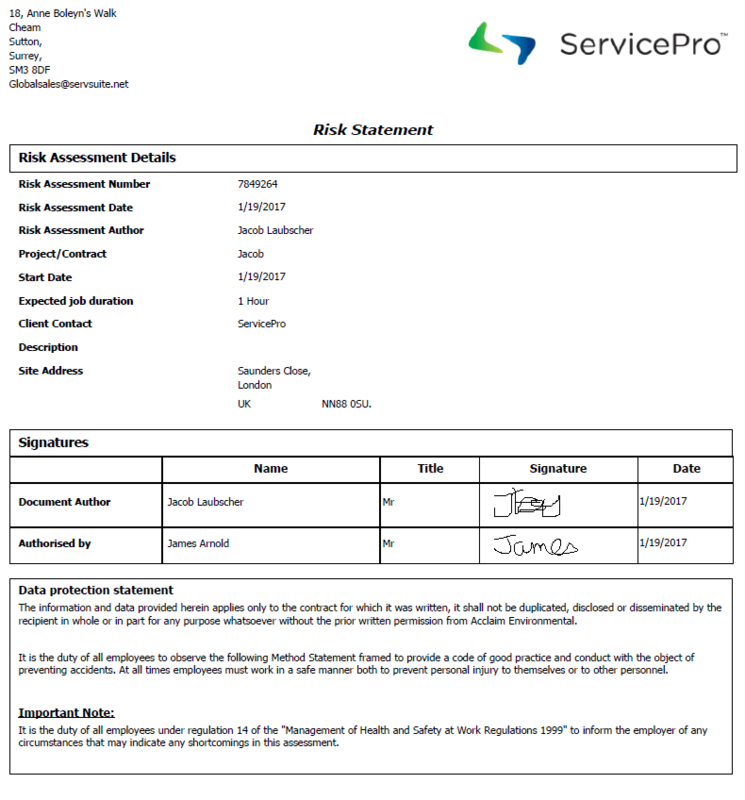 ServSuite™ pest control software allows for risk assessment to a property before or after a service has been performed. When dealing with hazardous substances, pest control companies are required to assess any potential health risks associated with these substances. 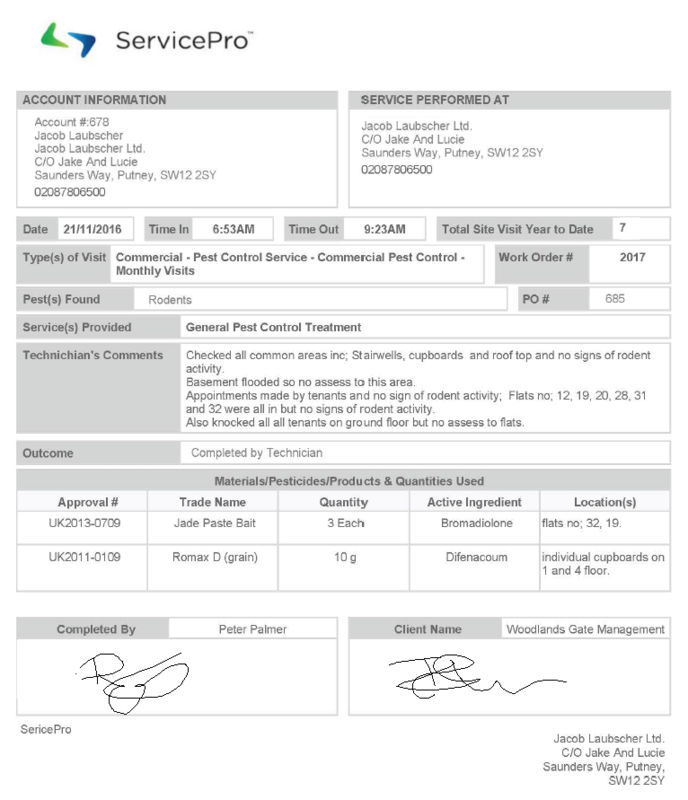 This form helps pest control professionals to cover all their basis. You can create your own custom Risk Assessment forms depending on your specific needs. The form can be signed electronically on a technician’s tablet right on the spot (with our digital signature feature, ServSign), or can be emailed to your customer for their signature. 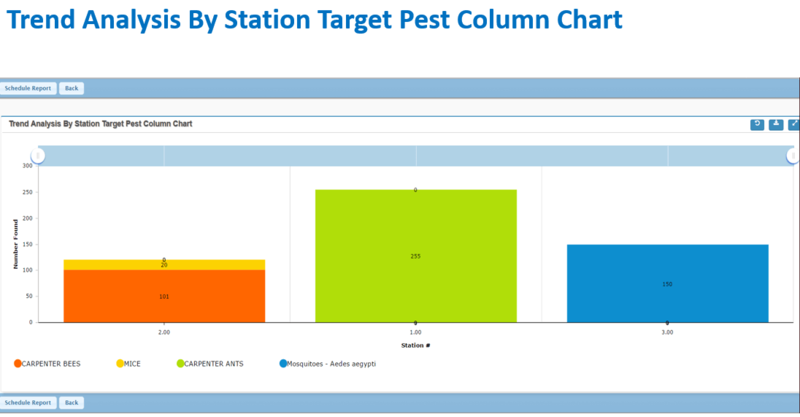 ServSuite™ software includes a Marketing module for pest service companies that allows you to generate client lists from your current customer database, based on a certain set of criteria. You can use your created client lists to make personalized and targeted marketing campaigns. Print and email various Barcode Reports and graphs to your clients. 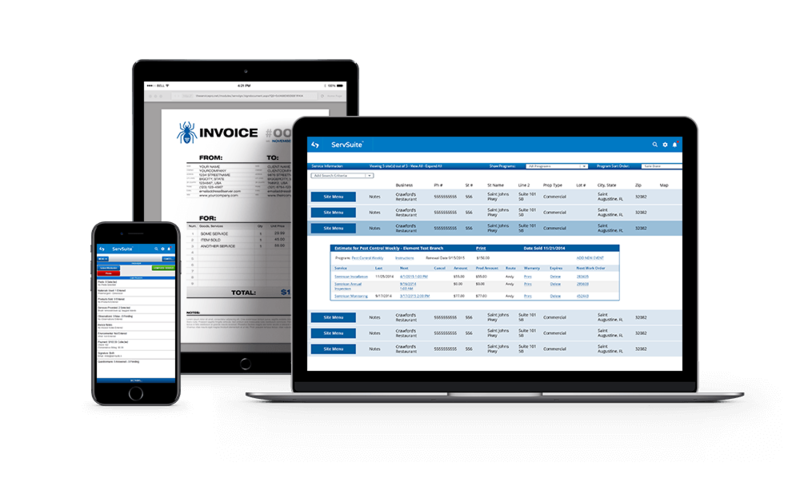 Create your own custom Invoice / Statement / Renewal / Collections / Service Forms in ServSuite™ software to print, email, or e-sign to your clients! Here is what some of our Client's have to say! 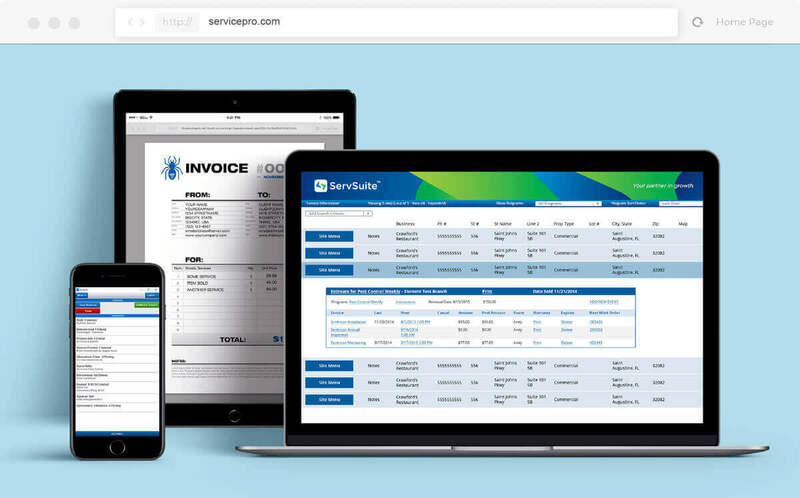 We have been using ServicePro for just over a year now, it has helped to streamline our business from scheduling the work load to invoices our customers, ServicePro have saved us a lot of time in the office. The support is great, we asked for some custom designed forms to me made they have delivered every time. I would recommend this software to anyone that is trying to streamline their business. We have been using ServSuite for the past 7 years. ServeSuite makes running your pest control business easy from a start up to an established business. For office on a day to day basis, invoicing and keeping track of work orders, accounts, your client base and service history, keeping account of sales and sales commission, it is an essential tool in running my business and I could not imagine running my pest control business without using ServSuite. 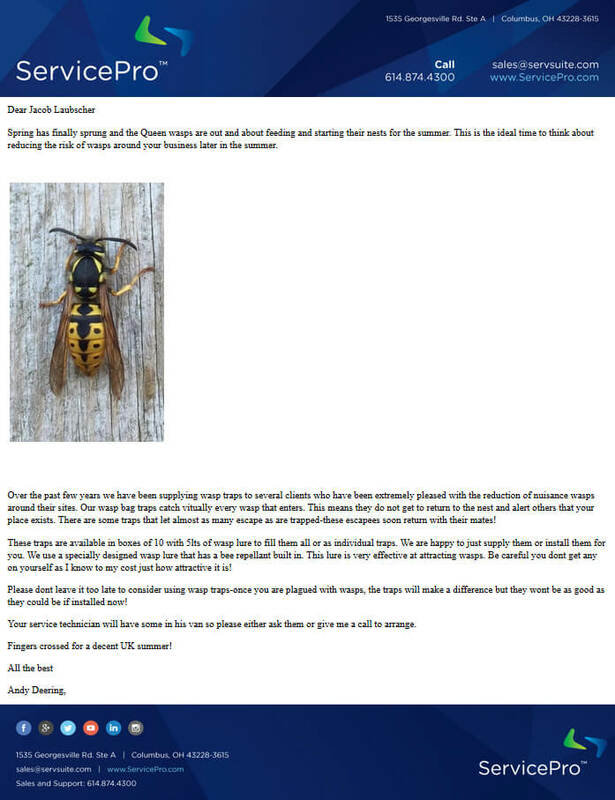 Action Pest Control has been using Service Pro for about 18 months and it has made a huge difference to our operations. The system does everything we want-data capture on site, links to our stock so we don’t run out. The web portal allows clients to easily access all their records whenever they like-no book to loose! I recommend Service Pro as a big asset for any pest controller.